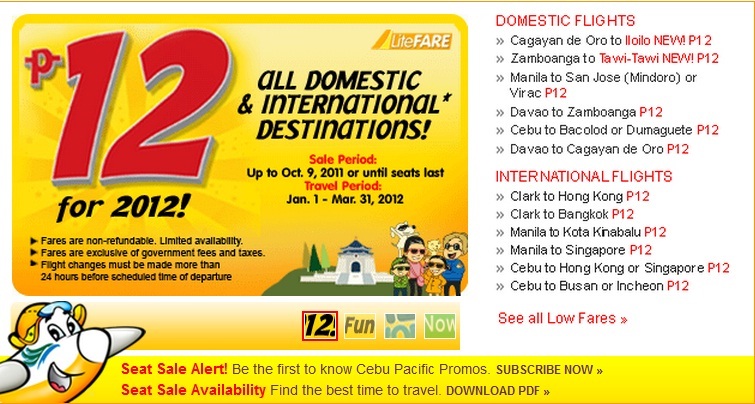 Home Cebu Pacific Promo Php12 on all flights for 2012! 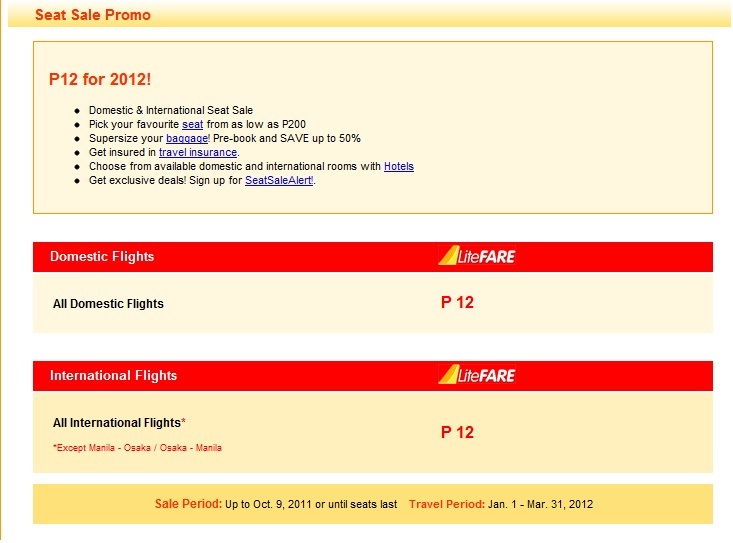 Check out Cebu Pacific's official websites to get those seats booked. 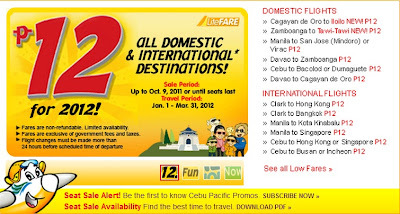 Website link - http://www.cebupacificair.com/ To get more seat sale promo updates, you can subscribe to my blog click here. Sale Period: Up to October 9, 2011 or til some lucky people were faster than you.